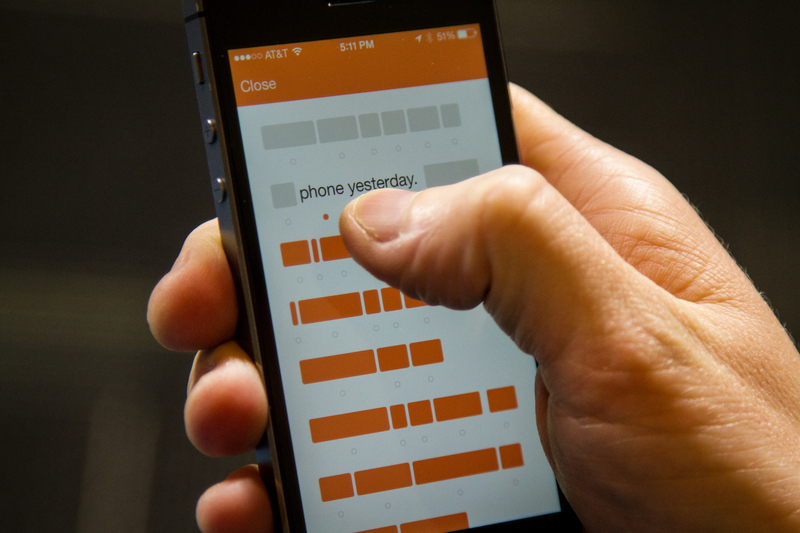 It’s been just a month since we first heard about Confide, the confidential messaging app designed for professionals. But already the app has drawn a lot of interest (and cash) from the very people it was made for — investors, entrepreneurs, and media professionals who don’t want their backchannel communications to be leaked. Today, Confide is announcing that it’s raised $1.9 million in seed funding that was led by WGI Group and includes investors such as Google Ventures, First Round Capital, SV Angel, Lerer Ventures, CrunchFund*, Lakestar, Marker, David Tisch’s BoxGroup, Yelp CEO and co-founder Jeremy Stoppelman, Entourage creator Doug Ellin, and Access Hollywood host Billy Bush. Along with the raise, WGI partner Michael Walrath will join the Confide board. By now, users are pretty familiar with the concept of ephemeral messaging, in which text and media shared between users automatically disappears. Snapchat, of course, is the most popular app of its kind, but there are any number of startups seeking to put their own new spin on the concept of disappearing messages. The idea behind Confide is to make backchannel messaging between professionals totally secure. No more emails being forwarded to people who weren’t meant to see them. No more screenshots of your text messages floating about. The app, which was launched early last month, is designed to make it damn near impossible for users to capture and share delicate information. From the recipient point of view, all text is hidden from view behind orange boxes until it is “wanded over” to reveal what’s beneath, just one or two words at a time. Even if you try to screenshot one of those words, the app will kick you out and notify the sender of the offense. Moreover, the app features end-to-end encryption, and there’s no data from the messages stored on any of its servers. It didn’t take much for the idea to attract attention — and funding — from investors. Indeed, when a friend (who has way more connections than I do) recently installed the app on her phone, the list of early users read like a who’s who of folks in the venture industry. According to co-founder and chairman Howard Lerman (who’s also CEO of marketing startup Yext), the whole funding round was done in 22 days without having to build a pitch deck. It’s a message — and product — that just resonated with investors. Now he and co-founder Jon Brod, who is a former AOL exec and co-founder of local news site Patch, can go back to work on the app. First step is an update to its iPhone app which drastically increases the number of supported languages. Already, the app has been used in 110 different countries, but now it will have language support for English, Spanish, Italian, French, Portuguese, German, Chinese (Simplified and Traditional), Japanese, Korean, Russian, Turkish, Swedish, and Arabic users. But that’s just the start. The next obvious move — one that the team is working on now — is to bring the app to Android users. Making its communications cross-platform will enable Confide to reach a huge number of new users around the world. The company has even broader ambitions, however, which could include some sort of a desktop client or browser extension that would enable users to send communications from their PCs as well. And now it’s got the bankroll to fund those ambitions. Brod said Confide would likely hire five to 10 new employees over the next 18 months, which could go a long way toward helping to make its particular brand of ephemeral messaging available to enterprise users. * Disclosure: CrunchFund was founded by TechCrunch founder Michael Arrington. But actually, I’m writing about this app because I just really like the app.